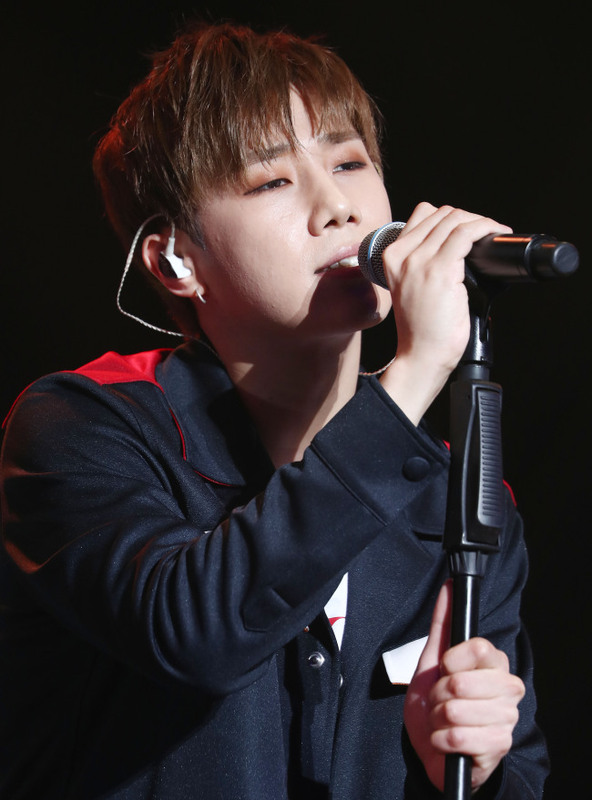 Veering away from the aggressive dance he once did with his bandmates, Sungkyu of K-pop boy band Infinite returned as an emotional soloist with “10 Stories,” the singer‘s first solo full-length album. “This is my third solo album, and I feel more nervous than if it were Infinite’s comeback. When I was part of Infinite, we’d told stories of the members, but today, I feel nervous as I have to talk alone,” said Sungkyu during a media showcase for his new album “10 Stories” in Seoul on Monday. The 10-track album marks the singer’s third solo album following the EPs “Another Me” and “27” in 2012 and 2015, respectively. While he had talked about the epitome of youth as a 27-year-old man in “27,” the now 30-year-old (Korean age) singer, is noticeably more mature in his new album. The album, which took almost eight months to complete, is fronted by “True Love,” an alternative pop-number co-written by the singer and Spaceboy. It also includes songs like “Sentimental,” in which he worked with Junno of Casker, and “Till Sunrise,” penned by Tablo of hip-hop trio Epic High. 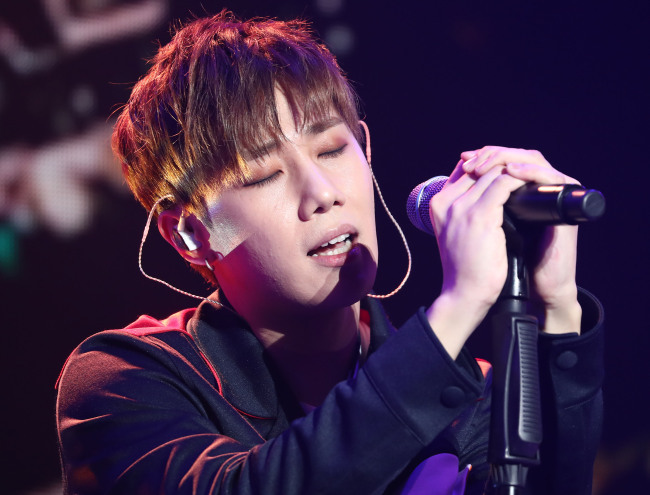 The entire album was produced by Kim Jong-wan, frontman of Korean rock band Nell who is known for his sentimental sonic style, the reason why Sunggyu’s new songs are tinged with Kim’s color as well. “It was hard to pick a lead track as there were so many good songs. ‘True Love’ isn’t a fancy number, but I chose it because I could sing it with sincerity,” he said. “Actually, I showed Kim some of my self-made songs one day after drinking with him at his house. But Kim told me, ‘I want you to do what you are good at. Focus on music,’” Sungkyu said, laughing. 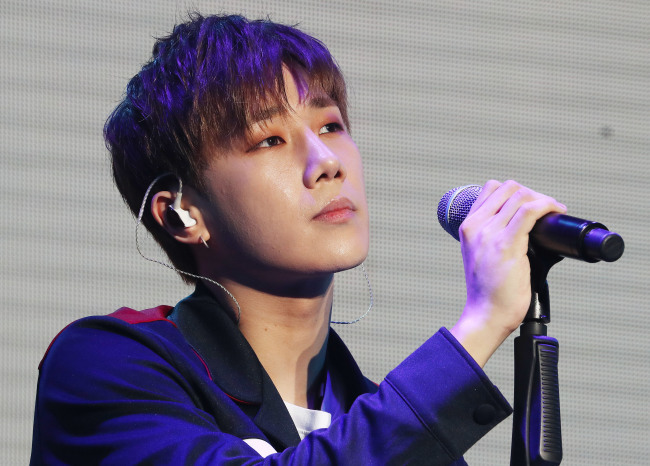 Having debuted as the leader of Infinite in 2010, Sungkyu embarked on a solo career with his first EP “Another Me” in November 2012. His second EP “27” had debuted at No. 1 on the Goan Album Chart and No. 8 on the Billboard World Album chart. The prolific and talented entertainer has also been expanded into musicals: He has performed in musicals “Gwanghwamun Sonata,” “In the Heights” and “All Shook Up.” Recently, he was cast as Mozart in the musical “Amadeus” and promoted Infinite’s latest album “Top Seed” last month. “My ultimate goal is to sing for a long time, for which I plan to take care of my health. My goal is to stage concerts, whether they are small or big, after promoting ’10 Stories,’” he added.